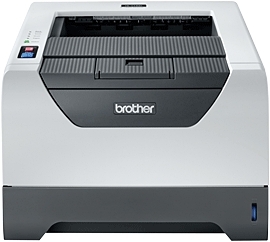 HL-5340DL Brother HL-5340DL Printer - Refurbished with 3 months Return To Base Warranty & Working Consumables. 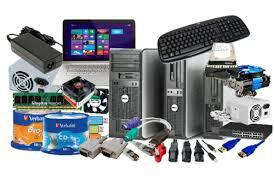 The Brother HL-5340DL Printer is as good as buying new as all worn parts are replaced. This saves you up to 50% off the price of a brand new printer. We are confident that you will be 100% satisfied with your Brother HL-5340DL Printer and are here to help with any support questions you may have. The Manufacturers part number/product code for this item is: HL-5340DL. The last thing you need when you're busy is a printer slowing you down, and Brother's HL-5340DL is more than up to the job. Professional, high quality, high speed print finish, without the premium price. Compact enough to fit in any sized office, whether it's at home or a business environment, yet there's no compromise on performance, with its many time and money saving features built-in, helping you to work more efficiently. Built for speed, this laser printer will keep up with your busy schedule. With a 30 page per minute print speed, and the first page printing in less than 8.5 seconds, you are guaranteed fast, reliable performance. And with a 300 sheet paper capacity, expandable to 800, it can manage those big print jobs effortlessly. Professionalism doesn't have to come at a premium price. This mono laser printer is affordable to buy and efficient to run too. Automatic 2-sided printing is a standard feature, helping to reduce your paper consumption. It also has a low cost per page, and for those with big print demands, an option for high yield toner.